El Geco Verde nestles between two incredible natural parks. A short journey by car brings you to the trailheads of some of Andalucia´s best walking routes. The natural park of Cazorla is the largest protected natural space in Spain. It is home to more than 1.300 recorded species of flora, 24 of which are exclusive to the territory. It is bordered by the natural park of Castril, tiny by comparison but every bit as well worth exploring. 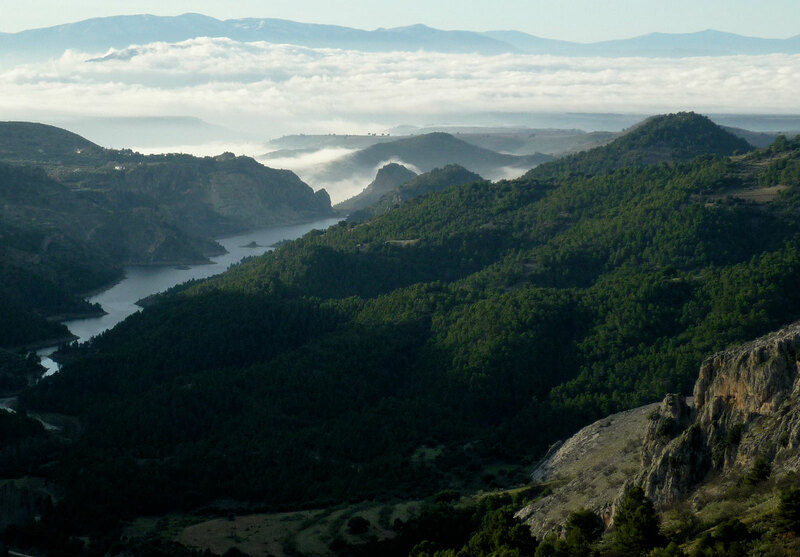 With spectacular sheer cliff faces and peaks of more than 2.000 metres above sea level, the Sierra de Castril is the perfect home for a multitude of nesting eagles and vultures. 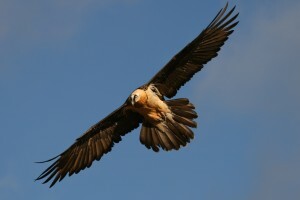 Among them is the legendary Quebrantahuesos (Lammergeier, pictured right) a bone-eating vulture with a wing span in excess of 2.5 metres. This fascinating bird has been reintroduced to the mountains via a captive breeding programme in Cazorla, but has chosen the Sierra de Castril for its home. More commonly seen in the park (and very often in the environs of the hotel) are groups of Griffon vultures, plus a multitude of smaller birds such as woodpeckers, hoopoes and owls. Also present in the park are wild cats, goats and boars, along with foxes, deer and beech martens. In terms of flora, Portugese Oak and Maple give way to pines in the highest reaches of the park; particularly the Salgareño pine, which grows up to 40 metres high. The Castril River’s cold, clear waters teem with trout and otters, and its picturesque source is reachable on foot along one of many designated hiking routes. Flowing south through the park, the river fills the El Portillo reservoir before encircling the town of Castril. A dedicated Visitor’s Centre just outside Castril provides information about the natural park, including the many walking routes. Here at El Geco Verde we also have information and maps and can help you plan to get the best out of your visit to the natural park. Bordering the Sierra de Castril Natural Park is the more famous and more commonly visited Natural Park of Cazorla. Covering more than 200,000 hectares, this park is a haven for wildlife and a Mecca for nature lovers. It was also the last refuge of Los Maquis, guerrilla fighters who defied Franco´s Civil Guard for more than a decade after the end of Spain´s bitter Civil War. Many of the park´s most scenic mountain tracks and trails were mapped out by these remarkable men and grateful hikers are today reaping the benefits. 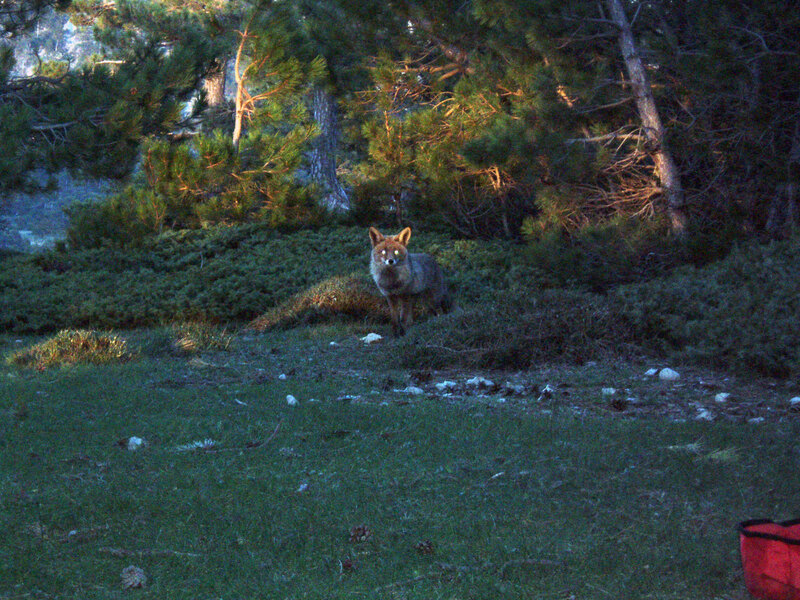 Visitors to the natural park of Cazorla are likely to see foxes, wild goats, wild boar, fallow deer, vultures and a wide variety of birds of prey, including royal eagles, owls and falcons. It is possible to drive through tracks inside the park to the source of the Rio Guadalquivir at 1,300 metres above sea level. Closer to home, the reservoir of La Bolera boasts a magnificent panoramic viewpoint, a lakeside restaurant and designated swimming and fishing zones. Here, with the water´s flow controlled by a dam, the river Guadelentin passes through a narrow gorge, creating perfect conditions for canyoning. Further downstream is one of only two fly fishing zones in Andalucia which open 365 days a year.